Once you’ve taken the ASF Adult Beginning Sailing Course, what’s the next step? What about learning more in bigger boats on bigger water? ASF has linked up with three quality sailing education programs that will put you on a keel boat and prepare you to charter a sailboat anywhere in the world. Sailboat Shop: For $375, Tom Errickson offers a two-day ASA 101 course that includes all ASA (American Sailing Association) required materials. The course is conducted from Scorpion Bay Marina on Lake Pleasant, just northwest of Phoenix. As an ASF graduate, if you join AYC and graduate from the Sailboat Shop’s ASA course, Tom will offer a free weekday rental of a Catalina 25 sailboat. Call 928.501.7245 or learn more at sailaz.com. Tiller and Kites: Offers all ASF grads a $75 discount on the four-day International Yacht Training Day Skipper Course, which is normally $575. In addition, Tiller and Kites will offer 15% off all courses and 13 months for the price of 12 on its “Sail Away” boat ownership sharing program. 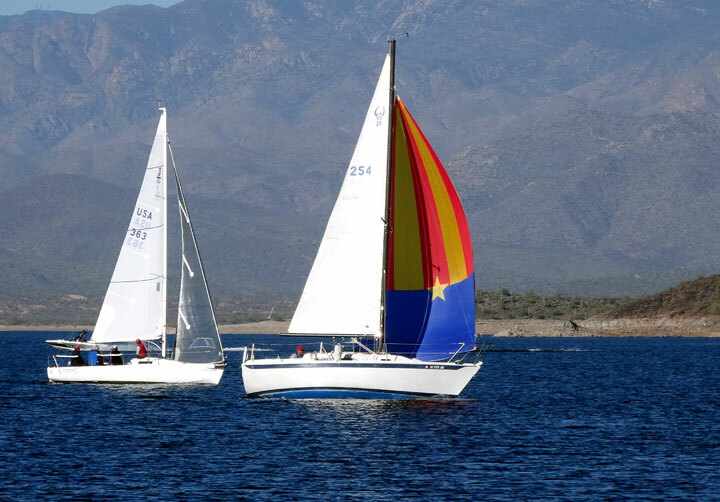 Tiller and Kites operates from Pleasant Harbor Marina at Lake Pleasant and uses a variety of boats, including J/24s and catamarans. Contact Tiller and Kites. Harbor Sailboats: Harbor Sailboats in San Diego will offer its regular $395 two-day ASA 101 course to ASF Beginning Sailing graduates for $295 (plus $84 for course materials and ASA membership) when signing up for the annual out-of-county membership, which costs $540/year. The $540 is credit toward boat rentals for the following 12 months. Call 619.291.9568 or learn more at harborsailboats.com. Just contact either school and tell them you want to take advantage of the Arizona Sailing Foundation connection. Here’s a flyer you can print. Naturally we’d like to see you keep sailing and to begin to tap into the educational, social and racing resources of the Arizona Yacht Club (AYC). Your best move is to come to one of our monthly meetings on the second Tuesday of the month. Here’s more about the club. If a more laid-back approach seems more your style, then the cruising and social Lake Pleasant Sailing Club (LPSC) might appeal to you. 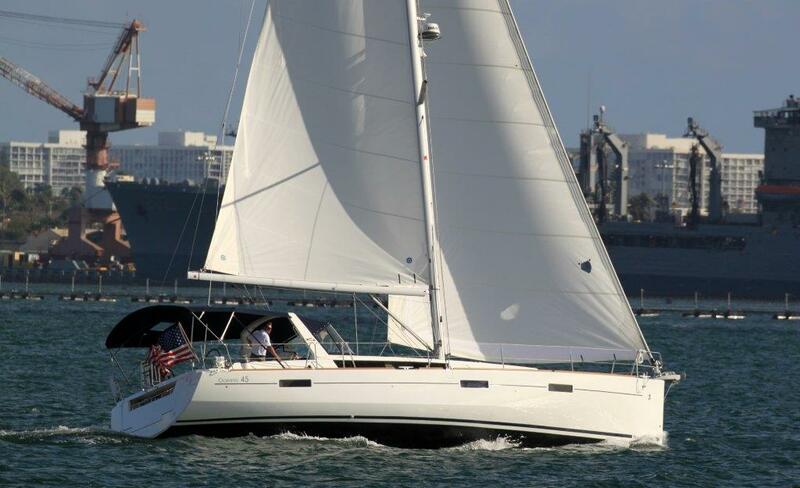 Harbor Sailboats can put you on the water in San Diego.